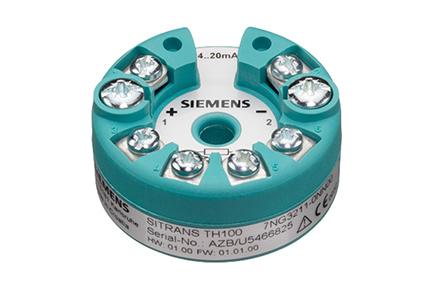 The Sitrans TH100 Temperature Transmitter is rigid designed for economic use. For example with saving of the galvanic insulation, which is not need for PT100. Therefore the TH100 offers economic plant operation and reliable measurements. It is an ideal substitute for over aged analogue PT100 transmitters.